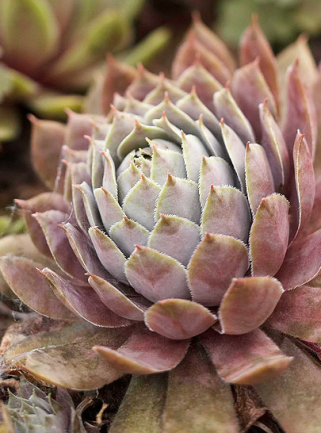 Succulents are increasingly popular and it makes sense: they look sensational and are very easy to care of. They have very thick leaves and provide texture to a plant décor. 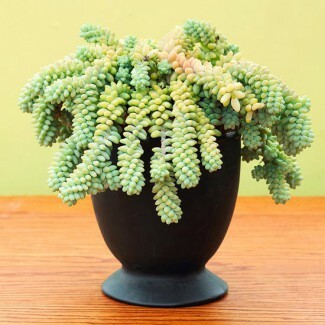 They are so beautiful being decoration items, or, even better, they can be arranged in a conglomerate of succulent plants in a perfect blend of colors and textures. Here are the most beautiful succulents to keep in the apartment! Because it is a flowering plant, this type of cactus must be planted in a clinging pot. The leaves are tough and glossy, and can grow up to one meter in height. This plant originates in Mexico and develops best if placed in a sunny area. It should only be wetted when you feel the soil dry at the touch, and during winter it must not be watered at all, so you should also wipe the plant less frequently. The earth must be fertilized in summer, so that the plant blooms at the end of the warm season. If you keep this plant in the light it can flourish all year round. It has long and harsh leaves that are caught by splinters and small plumes of flowers. When the plant blooms, it allows the soil to dry before it dries. 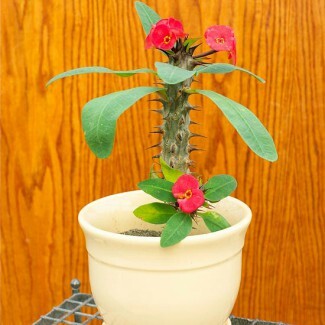 Euphorbia milii prefer direct sunlight, but it can also adapt to a medium brightness. The secret is not to put it in a dark room and not to overuse it. Who wouldn’t want a succulent that resembles a bonsai? The jade tree is infinitely easier to care than the “capricious” bonsai. 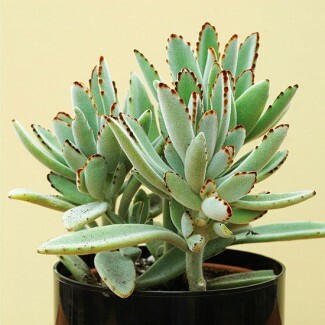 Like many other succulent plants, it prefers strong light and should only be watered when the soil feels dry to the touch. 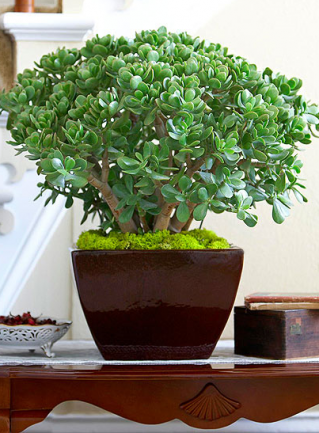 It is best to keep the jade tree in a clay or ceramic pot for the soil to “breathe”. The tree must be cut with a scissors to keep its shape, and the dried leaves must be removed. This is undoubtedly one of the most beautiful succulents you can have in the apartment. The flowers of this plant are pink and have a star shape, and the good news is that, although they wither fast, there are always new ones. The plant should be seldom watered, and during winter, even less. Fertilization is done three times during the summer. For the plant to grow harmoniously, you must remove the dried leaves and take care not to sprinkle the “healthy” ones with water, as these may deteriorate. There are many Kalanchoe plant species, but this is one of the most popular. It doesn’t make flowers but has some spectacular leaves, covered with silver pearls, which give it a “fluffy” look. The leaves contour is rusty. The plant should be watered when the soil is dry, and you shouldn’t keep it in direct sunlight. It also resists very well in a semi-illuminated environment.